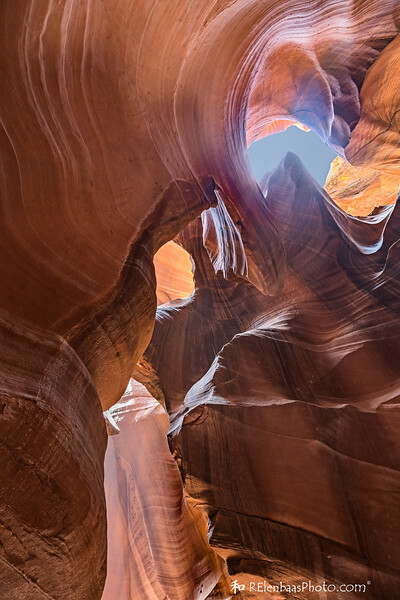 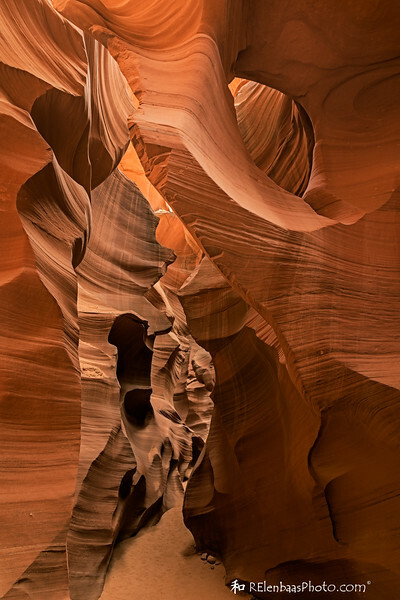 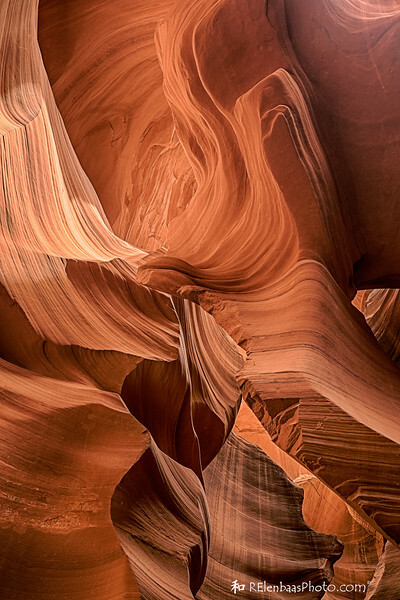 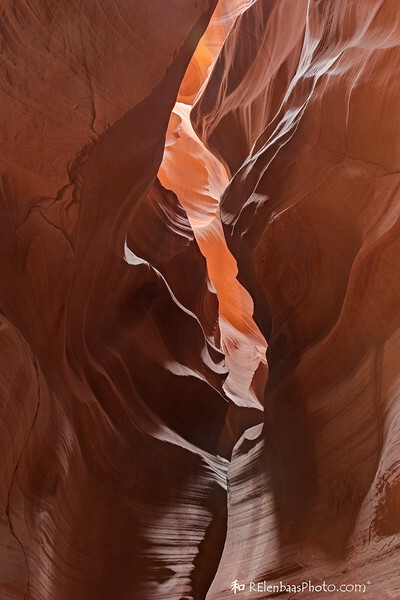 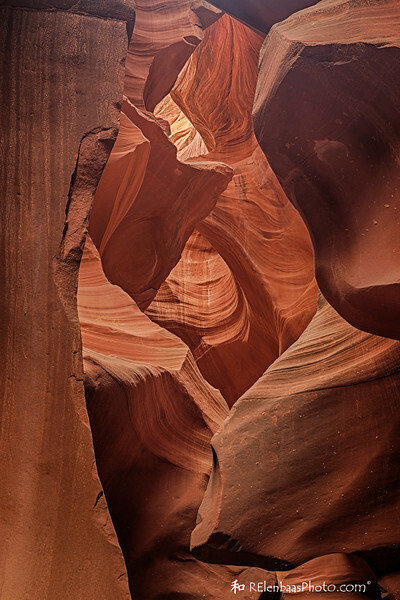 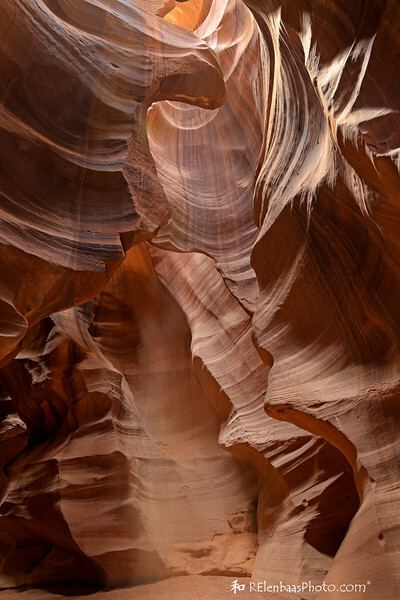 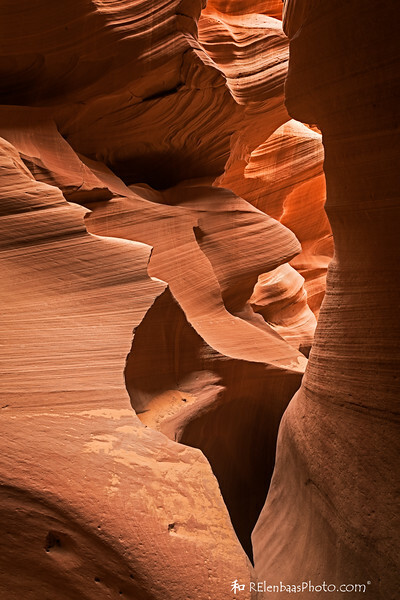 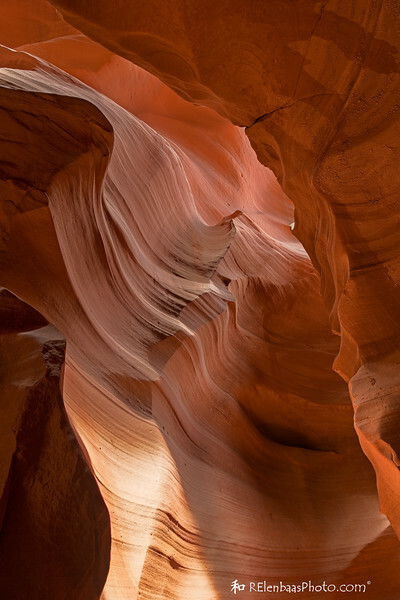 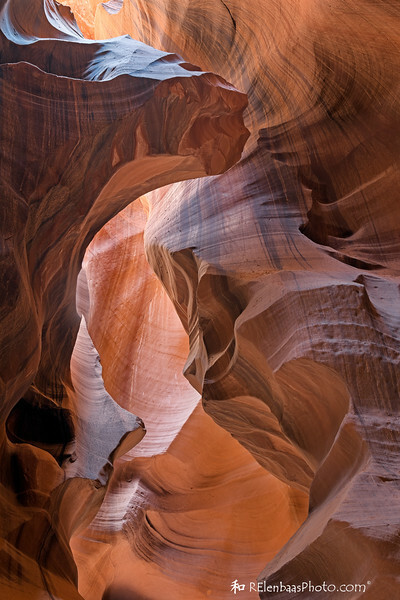 Upper and Lower Antelope Canyons are located on the Navajo Nation, just outside Page, Arizona. 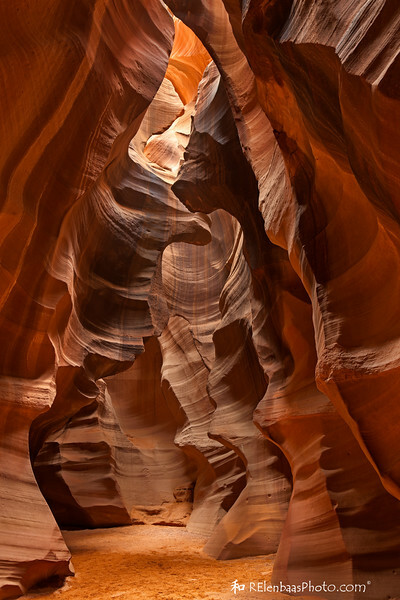 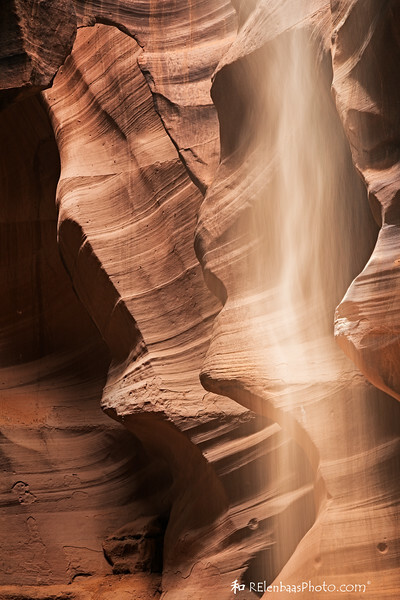 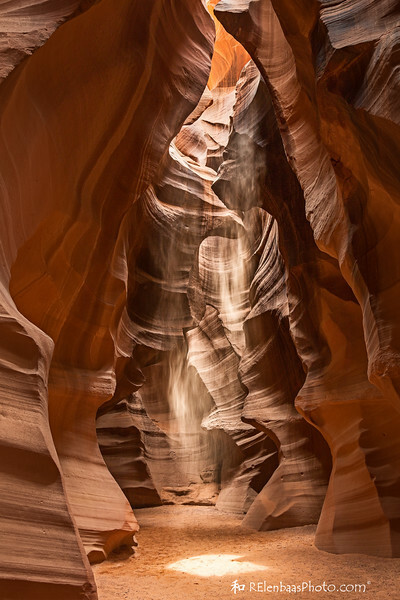 The Upper Canyon has a wider floor and narrow ceiling, which yields the golden shafts of light for which it is famous. 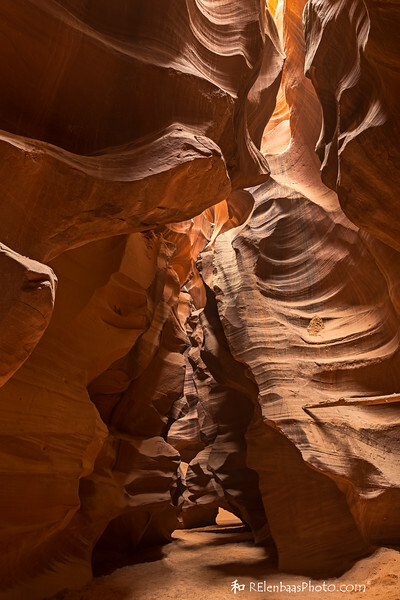 The Lower Canyon is the opposite: very narrow floor and wider ceiling. 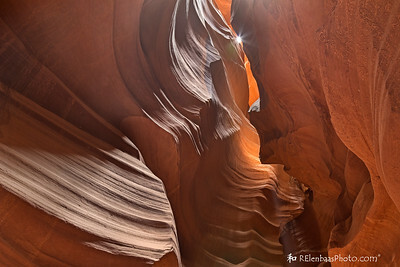 Thus, its beauty is enhanced by light that reflects and bounces all around the walls. 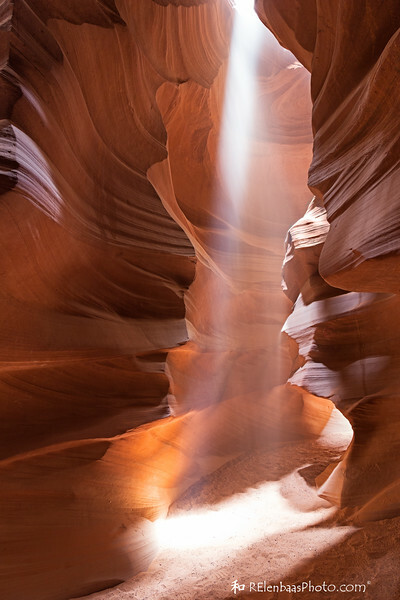 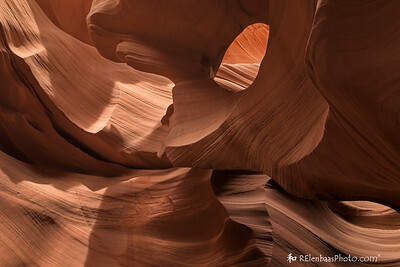 sun spotlights the canyon floor, Upper Antelope Canyon. 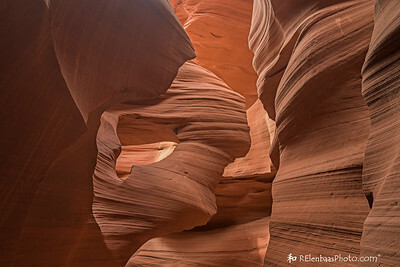 Featured in "Northern Exposure," Images Arizona magazine, January 2017. 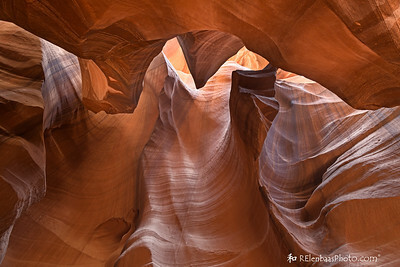 The narrow passageway and twisted formations reflect beautiful, soft afternoon light. 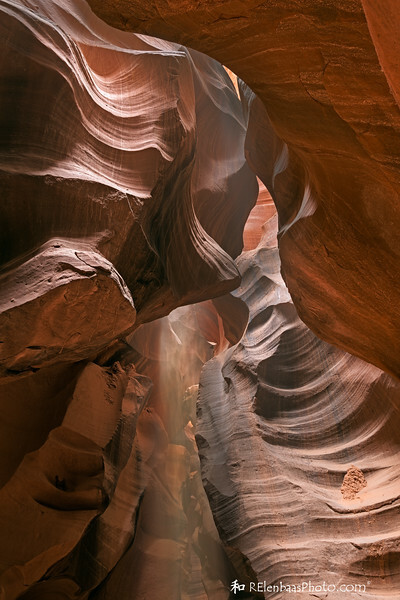 The narrow path leads around another corner.